Faculty and staff say Sylviane loved what she did. You could see it on her face and hear it in her voice. They say she brought pure joy to her classroom. “She was always this bright, smiley-eyed lady any time she was around, she was smiling,” one teacher said. But they say that all went dim when Sylviane disappeared in 2011. 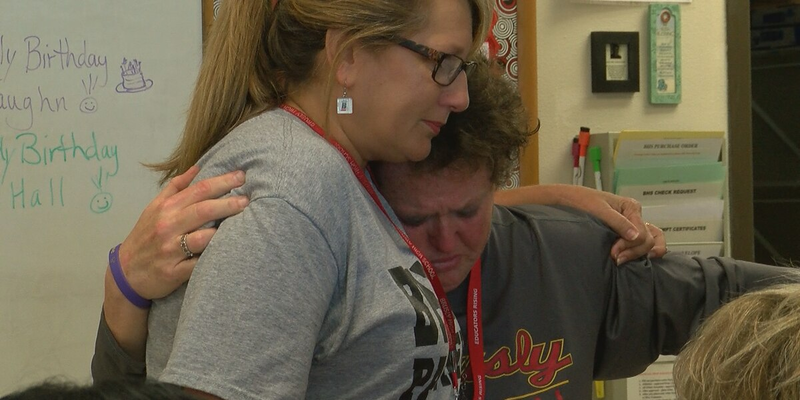 On Friday afternoon, teachers gathered around a small television set at the school for the announcement they had waited seven long years to hear. EBRSO Major Todd Morris, the lead detective on the case, had the honor of welcoming Sylviane’s daughter, Angelina, back to America. The girl’s safety is what they had hoped and prayed most for. “I’m relieved that this has finally happened and that Angelina can be reunited with her family. Her mother loved her so much. She was her world,” school secretary, Aimee Rabalais said. The news is closure, the teachers say. But they know the days ahead will be filled with court dates, tragic reminders, and an outcome that will likely take a toll on Angelina. The faculty at Brusly High had a message for the young girl: she can count on them. "We are praying for you. There is a community of support behind you, and we know what an amazing young child you are and now a young adult. You are finally home and at peace and surrounded by tremendous love in this community,” Assistant Principal Julie Mayeux said. Authorities say Sylviane’s family is en route from Belgium to be with Angelina.